This is a continuation of our series in which we look at issues that may be of benefit or concern to people in each decade of life. Today, we focus on clients in their fifties. Me and my dad, Bill Miller in late 2017. I’m very happy to say that I had a close relationship with my dad. The fact that we were close and he knew he was in failing health before he had his stroke made things a little easier. What was particularly difficult, however, is that he had mild dementia before his stoke, and afterward, he did not know anyone except my mom. I’ve often heard people comment that even though you know a parent is dying, there’s still a long adjustment period—I’ve caught myself several times wanting to jump on the phone to ask him about what chemicals I should use in the yard, a relative he might have remembered, or a particular adventure he had in the Marines. 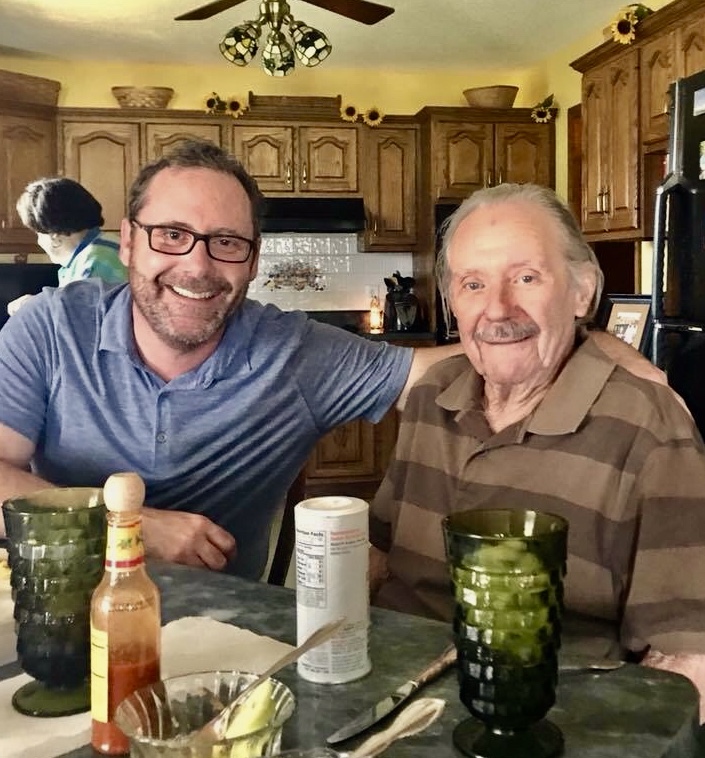 I have a good friend from whom I borrowed an idea for my family—his family adopted a motto, and we came up with our own family motto a couple of years ago…”Live Life Well”. We try to discuss with our girls what they have done during the day to “Live Life Well”. This year I’ve thought a lot about the legacy my father has left for me, and the legacy I will pass along to my children. I want to touch on my dad’s legacy to me, and offer a suggestion to parents for your children. My dad was an airplane mechanic for Piedmont Airlines and then US Air. Given his profession, he had a meticulous eye for detail. And safety. We used to roll our eyes when he’d walk out the door and look at our tires and peck at the tread, but he always wanted to make sure we were safe. He also worked nights the entire time I was growing up until I graduated from high school. He prioritized everything to spend time with my brother and me. He grew up hunting and fishing, so we grew up hunting and fishing. I have two girls, one seven and one four; how he could spend a day on the lake or in the duck blind with two young boys is beyond my comprehension! When I was in college at the University of Tennessee, my parents moved to Florida because my dad wanted to bass fish down there. When I had breaks, including a couple of summers, he and I did a lot of fishing together. Our discussions had changed from “don’t snag your brother’s eyeball out with that lure!” to more serious topics, since I was on the verge of making a living for myself. I remember several times our conversations centering around him saying to me, “whatever you do, always be honest with people”. I think that’s a great legacy to leave. And I think his was a life well lived.